In Britain, more than 380 million portions of fish and chips are sold annually! It is our nation’s most quintessential meal that has been the public’s favourite for more than 150 years! So it’s only right that you learn how to make perfect fish and chips. Luckily for us, there are many places where one can get those, oh-so-satisfying-to-eat fish and chips! There are about 10,500 takeaway and restaurants across Britain that serve our great nation’s traditional dish. 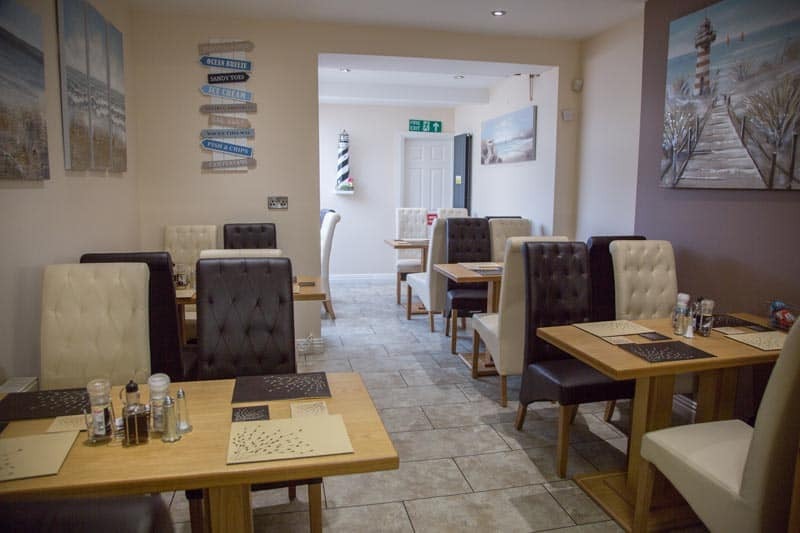 The county of Kent is home to some famous restaurants due to its proximity to the seaside. Most traditional fish and chips are served here. Particularly popular are the shops in the seaside town of Ramsgate, which is located in the district of Thanet, South East England. The ones in London are quite popular, too! More often than not, wherever you get your next fix of battered cod, haddock, rock or plaice, they will be tasty. Obviously, our recommendation is to come dine with us in our newly renovated restaurant at the Newington Fish Bar, but if you can’t make the trip, then keep reading. What do you do if you want to get that same, delicious, mouth-watering, freshly cooked cod in your own kitchen? What if you cannot visit the Newington Fish Bar? Or one of the other popular fish and chips shops in Kent? Well, you can always try making the dish on your own. However, making this famous British dish is not the easiest of tasks! We advise seasoning the fish filets on both sides, then dipping into the batter, in order to make the fish really ‘meaty’. To make the batter, whisk about 225 grams of flour, with 285 ml of beer and 3 teaspoons of baking powder together. Do this until nice and shiny, then dip each fillet into the batter. 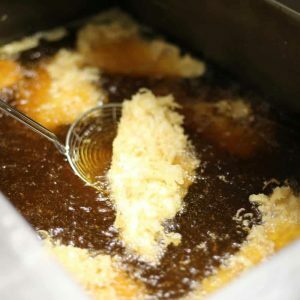 Frying the fish fillets (about 225 grams in total), is best done with sunflower oil in a deep-fat fryer. We advise skinning the potatoes and letting them soak in water to remove the starch. After about 30 mins, throw them in the deep-fat fryer until golden. Preferably in the same oil that the fish fillets were cooked in. If you are up for some mushy peas on the side too. Put about 4 handfuls of peas and some chopped mint in a pan, with 1 knob of butter. After stirring for 10 minutes, add a squeeze of lemon juice and some sea salt and black pepper. Followed by putting everything in a food processor! And voila, you have your own, homemade, delicious fish and chips and mushy peas! First and foremost, the fish must always, always be fresh to ensure it cooks beautifully. The best fish and chips shops in Kent really, know that! That’s why this county is home to some high quality shops, according to the National Federation of Fish Fryers. We were the first shop in Kent to receive the Five Star quality award, which is only awarded to shops that serve the freshest of fish. Another important thing to know is that thick batter is the best batter. However the batter must be left overnight and not used right away. This will result in a crispy golden finish. Trust us, batter can make all the difference. Get this right in order to have amazing results in your cooking endeavours. Lastly, make sure you always use fresh oil. Already-used oil is not only bad for your health, but it will also ruin your food. And no one wants that! Do not be afraid to experiment. Find what works best for you and stick to it! You might not get them perfect like we do in the Newington Fish Bar, but do not get discouraged! Practice makes perfect, and before you know it, you will have your perfect homemade fish and chips mastered! Co-owner of the Newington Fish Bar. Kent's first award winning fish and chips since 1980.